Need help dealing with smoke odour in your home? Perhaps you had a small fire in your kitchen, or some Christmas lights caught on fire and you are now left with a smokey smell inside your home. Well that is what I aim to help you out with, addressing the main points you need to know in effectively dealing with and eliminating smoke odour. Firstly, I should mention that every situation will be different depending on the severity of the fire damage incident, the bigger and hotter the fire the more difficult it will be in removing smoke odour as higher temperatures cause the pores of materials to open up more and thus absorbing more of the smoke odour. However, proper smoke odour removal will entail a combination of tactics including cleaning, deodorizing, and sealing of materials. Step 1 – Remove any and all burnt materials from your home (or area you are trying to rid smoke smell from). As long as the source of the smell (in this case burnt materials) is present, you will have a difficult time removing the smokey odour. If burnt areas or items cant be removed (such as structural materials) then you may need to apply a sealant to the area which will lock in the odours. 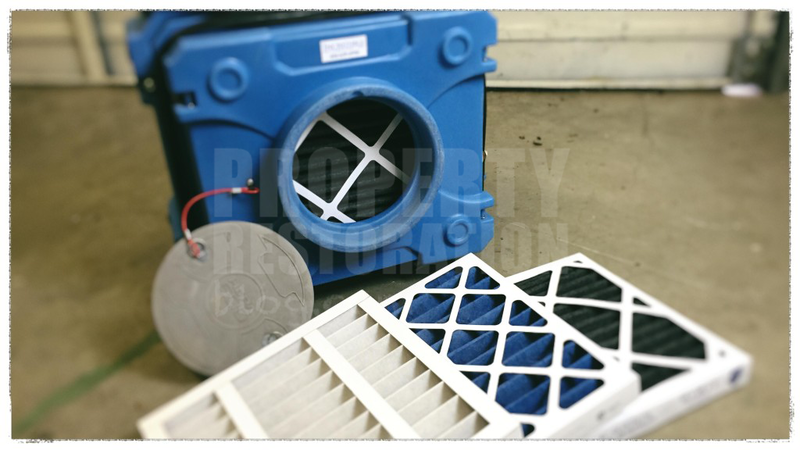 Step 2 – Install an AFD (air filtration device) unit with carbon activated filters. An AFD unit with a HEPA filter is not enough, and will not be efficient at removing smoke odours. Make sure you are equipping the AFD unit with carbon filters as these are what will absorb and trap the gases and odours. Step 3- Clean all affected areas. This means all areas near and around the fire incident, including the actual area the fire took place in (do not use any water or wet cleaning in this step). In this process you want to get rid of all surface soot and dusts, depending on the type of fire you could vacuum some of it away. After you have tried vacuuming the larger particles you should then do some dry-chem sponge cleaning (you should be able to pick up these up at your local Home-Depot). The sponge will absorb remaining soot and smoke (working almost like an eraser) as opposed to smearing them, which is what wet cleaning would do. Step 4 – Spray Deodorizers to all smoke affected areas. In this step the aim is to re penetrate the surface pores of affected areas with a deodorizing agent. You should be using a deodorizing agent geared towards smoke damage; a popular choice in the property restoration industry is Odor X Double O formula (you could get a bottle of this stuff at your local janitorial supply store, or perhaps Home-Depot will have a similar type of deodorizer which could also do the trick). So follow the instructions on how to mix up the chemical, get a spray bottle and spray all surfaces with it including walls and carpets (obviously do not spray it on water sensitive areas like electronics etc.) Let the solution sit and soak while it does its job. As the chemical dries you should be able to assess the situation and see if the smell is gone or if it needs another spray application. If this is not working effectively then it is likely because the fire was of a larger size and or higher heat, which may require a thermal fogging treatment. Thermal fogging replicates the heat like attributes of the fire which opens up the pores of building materials even more, however this should be reserved for the professionals. There you have it, the 4 steps in dealing with smoke odours in your home. These steps should work well in situation where the severity of the smoke smell is low-medium. Again, for larger more severe type jobs you should be contracting a local property restoration company to take over the job and restore your home to its pre-loss condition. first time here. useful stuff it helped me out. Thank you a bunch for sharing this with all us folks you really know what you’re talking about! Bookmarked. great stuff, i sent you an email please reply I would like to work with you!